Panama City Beach is one of the top destinations for snorkeling in the country! The crystal clear water and beautiful marine life make for an adventure unlike any other! There are countless spots to choose from, but before you visit, there are just a few things that you should know. 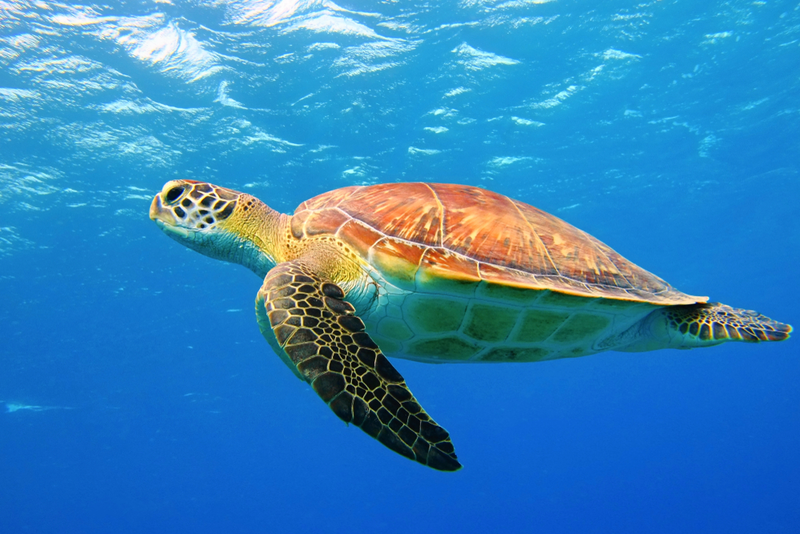 To help you make the most of your trip, here are 5 helpful tips for snorkeling in Panama City Beach. There are tons of snorkeling tours available in PCB, however, there are also many spots that are much less crowded and expensive. One of the best places to go snorkeling in Panama City Beach is St. Andrews State Park! When you arrive, you’ll just have to pay a small admission fee to get into the park, and then you can start your snorkeling adventure! The shoreline and the rock jetties are fantastic spots to snorkel with many opportunities for you and your family to see marine life. If you didn’t bring your own equipment, you can even rent it from the concession stores on the property. It’s always a smart idea to bring a trusted friend or family member with you when you go snorkeling in Panama City Beach. It’s simply safer to be with another person when you’re in the water, especially if you’re new to snorkeling. It’s also a lot more fun when you get to share the experience with other people! It’s important to respect marine life and give them their space when you’re snorkeling. You should avoid petting and feeding the animals. We know, they’re super adorable, but if you get too close you could frighten them, and giving them your human food could potentially mess up their ecosystem. When you vacation to the Sunshine State, the one thing you should always remember to bring is sunscreen! Nothing can put a damper on your trip like a nasty sunburn, so be sure to apply sunscreen regularly to protect your skin. When you go snorkeling in Panama City Beach, you’ll want to reapply sunscreen at least every 40 to 60 minutes. Obviously, if it’s pouring outside it’s probably not the best idea to go snorkeling. In order to plan for your day while you’re in PCB, you should stay up to date with the local weather forecast. It’s also a good idea to keep an eye on gulf conditions like currents, waves, surge, and wind. This way, you won’t have to worry about being unprepared. 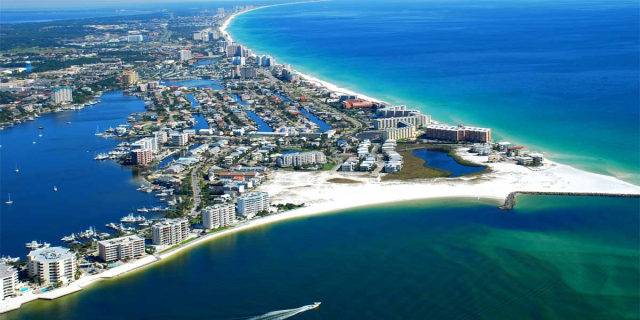 Panama City Beach is a famous vacation destination, and our rentals here are some of the best for miles around! From family friendly resorts to private bungalows, there are tons of options for you to choose from, each with their own unique set of amenities. The best part is that you’ll be close to all the top spots to eat, shop, and of course, go snorkeling! We hope that these tips for snorkeling in Panama City Beach will help you to have an unforgettable experience! Be sure to check out all of our fantastic vacation rentals in Panama City Beach to find the perfect place to stay! OPEN Apr 18 to 21 $643! OPEN Apr 13 to 15 $736! OPEN Apr 22 to 24 $565! OPEN May 1 to 3! OPEN Apr 14 to 16 $549! Remodeled! Beach FRONT * Indoor/Outdoor Pools * Gulf Front Fitness Center * $1500/mo 4 Winter! OPEN Apr 13 to 15 $726! OPEN May 15 to 17! OPEN Apr 13 to 15 $578! OPEN Apr 14 to 16 $516! OPEN Apr 13 to 15 $574! OPEN Apr 14 to 17 $622! 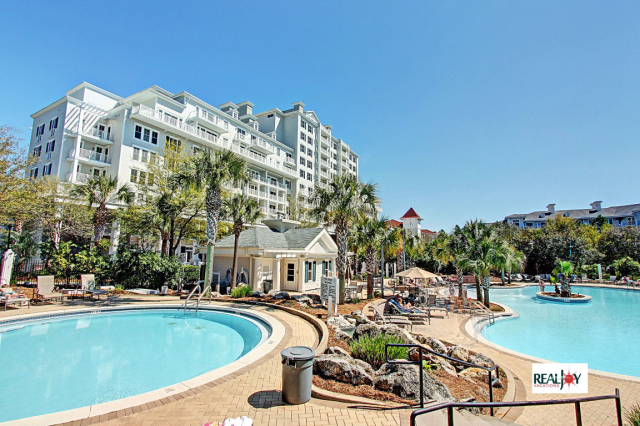 Carillon Beach Resort ~ 4 Pools ~ 7 Beach Access Points ~ RealJOY Fun Pass ~ $1300/mo 4 Winter! OPEN May 6 to 9 $744! OPEN Apr 13 to 15 $589! OPEN Apr 12 to 14 $595! OPEN Apr 13 to 15 $514! OPEN Apr 13 to 15 $921! $1950/MO for Winter * Real Joy Fun Pass * CORNER unit * HUGE Balcony * Gulf Front! OPEN Apr 13 to 15 $548! OPEN Apr 14 to 16 $587! OPEN Apr 20 to 22 $689! OPEN Apr 17 to 19 $714! OPEN Apr 13 to 15 $625! OPEN Apr 19 to 21 $677! OPEN Apr 14 to 16 $873! OPEN Apr 17 to 19 $502! OPEN Apr 13 to 15 $561! Beach Front for 6 - Gulf Views - Balcony - RealJOY Fun Pass - $1350/mo 4 Winter! OPEN Apr 13 to 15 $688! OPEN Apr 19 to 21 $606! OPEN Apr 13 to 15 $917! OPEN Apr 16 to 18 $588! OPEN Apr 13 to 15 $536! Real Joy Fun Pass * Gulf Front * Spectacular views from Balcony! $1350/mo for winter! OPEN Apr 13 to 15 $711! OPEN Apr 14 to 16 $470! Beach Front with Pool Views - Next to Spinnakers - Pools & Hottubs - $1350/mo 4 Winter! OPEN Apr 13 to 15 $550! OPEN Apr 20 to 22 $539! Across Street From Beach! Real Joy Fun Pass * Please CALL for SAME Day Bookings* $1100/mo 4 Winter! OPEN May 7 to 10 $812! $1650/Month 4 Winter * Real JOY Fun Pass * Penthouse * Beach SVC * Gulf Front Views! OPEN Apr 27 to 29 $767! OPEN Apr 13 to 15 $641! OPEN Apr 14 to 16 $707! Newly Remodeled - Gulf Front Pool! FAB Views * Real Joy FunPass * Snowbirds $1750/mo for Winter! OPEN Apr 14 to 16 $577! OPEN Apr 14 to 16 $473! OPEN Apr 13 to 15 $567! Lake & Gulf Views! $1400/mo for Winter ~ Private Balcony & Resort Pool. Real Joy Fun Pass! OPEN Apr 19 to 21 $583! OPEN Apr 21 to 23 $617! Private Balcony! Beachfront for 6! Real Joy Fun Pass - $1300/mo 4 Winter! OPEN Apr 14 to 16 $501! OPEN Apr 14 to 16 $760! 16th Floor Corner Unit - Gulf Front Views - $1800/mo 4 Winter - Heated Gulf Front Pool - Updated! OPEN Apr 13 to 15 $522! OPEN Apr 14 to 16 $526! OPEN Apr 19 to 21 $592! OPEN Apr 23 to 25 $640! OPEN Apr 21 to 23 $734! OPEN Apr 14 to 16 $693! Beach Front for 8 * $1800/mo for Winter * Real Joy Fun Pass * Gulf Front Pool! OPEN Apr 13 to 15 $780! OPEN Apr 14 to 16 $514! Real Joy Fun Pass * Gulf Front! Two Pools * $1050/MO 4 Winter! OPEN Apr 13 to 15 $594! OPEN Apr 12 to 14 $793! Real Joy Fun Pass * $1500/mo 4 Winter * Corner Unit * Beach Services * Gulf Front! OPEN Apr 14 to 16 $515! OPEN Apr 18 to 20 $477! OPEN Apr 14 to 16 $560! OPEN Apr 13 to 17 $1280! Real Joy Fun Pass * Wall to Wall Gulf Views * - $1700/mo 4 Winter - Huge Balcony! OPEN Apr 13 to 15 $790! $1700/MO 4 Winter - Real Joy Fun Pass - Gulf Front - Corner Unit with Wraparound Balcony! OPEN Apr 20 to 22 $554! $1600/MO 4 Winter- Gulf front- 2 Pools- Real Joy Fun Pass - BEACH SERVICE! RealJoyFunPass -Gulf Front! 2 Pools -Recent Upgrades w/ New Tile Floors! *$1050/mo 4 winter! In the heart of Panama City Beach, Aqua Resort features a luxurious Gulf Front, 22 story high rise only 0.4 miles from Pier Park and within walking distance to Gulf World! Park in the covered parking garage and walk across… Read More. Aquavista is located directly on the Gulf of Mexico and steps away from the beautiful sugar-white sands of Panama City Beach: just a mile from Pier Park, 2 miles from Sharky’s Beachfront Restaurant, and under 2 miles to Gulf… Read More. Calypso Resort and Towers is a wonderful destination for a vacation rentals on the beach! Located on the beach’s west end contiguous with Panama City Beach fishing pier and Pier Park shopping center, Calypso Resort is the… Read More. Celadon Beach Resort in Panama City Beach is located directly on the Gulf of Mexico, where you'll enjoy access to beautiful beaches. Vacation rentals feature 23 floors, spacious living rooms, beautiful master bedrooms facing… Read More. Dunes of Panama is located on the sugar white sands of Panama City Beach in the peaceful eastern end of exclusive Thomas Drive. This amazing complex features 1,500 ft. of sugar-white beach front, 3 Large gulf-front pools… Read More. 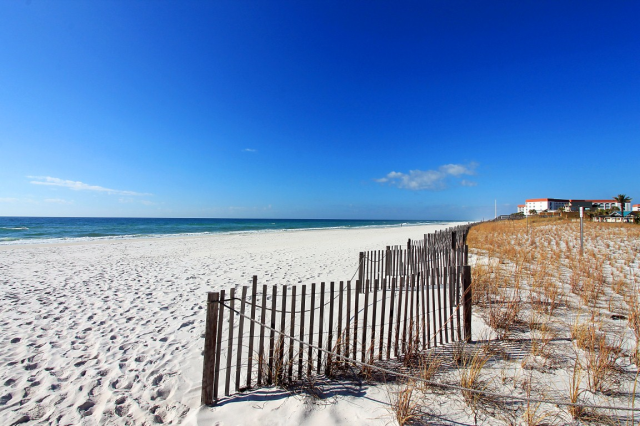 You won't want to leave vacation rentals at Edgewater Beach & Golf Resort in Panama City Beach! The resort is so extensive that you won't ever have to leave once you arrive. With half a mile of private beach, eleven pools… Read More. 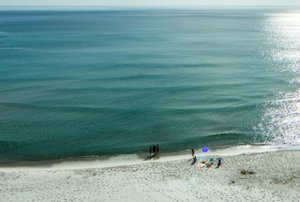 It doesn’t get much better than Emerald Beach Resort in Panama City Beach! Built in 2007, vacation rentals at this luxurious property boast incredible views and a wide variety of amenities. Emerald Beach vacation rentals… Read More. Grand Panama Beach Resort is one of the most elegant vacation rentals in Panama City Beach and is located on the Gulf of Mexico. With over 650 feet of beach, this gated rental resort community featuring two outdoor pools… Read More. Grandview East in Panama City Beach is a fabulous 17-story boutique complex with just over 60 vacation rentals, which means an uncrowded beach for you! You’ll enjoy parking beneath the building with overflow parking across… Read More. Laketown Wharf vacation rentals in Panama City Beach experience some of the best amenities at the beach, including 5 different and unique pools to choose from like a kids pool, teen pool, kiddie water area, and an adult pool… Read More. Long Beach Resort is a beachfront complex in Panama City Beach offering a variety of fantastic amenities for you to take advantage of during your getaway on the Gulf Coast. Guests of vacation rentals can take a dip in the… Read More. Built in 2005, Majestic Beach Resort in Panama City Beach is the perfect spot with active families, there is so much to do. Vacation rentals at the Resort enjoy FIVE pools! You can soak up the sun in one of the two outdoor… Read More. Moonspinner is located on the sugar white sands of Panama City Beach, located on the peaceful, most eastern end of the exclusive Thomas Drive area! 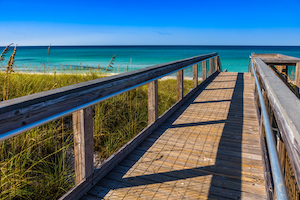 Vacation rentals are loaded with amenities like the GulfFront, seasonally… Read More. Ocean Reef is a Panama City Beach high-rise resort. Located on the quiet west/central end of Panama City Beach, this boutique resort only has only 161 total units! 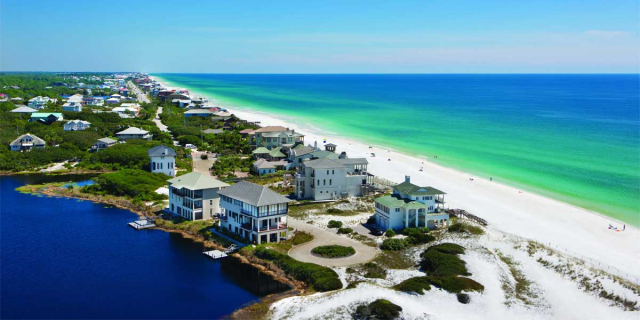 Explore the Gulf with 400 feet of private beach adjacent… Read More. Ocean Ritz is a 21 story building in Panama City Beach with only 3 units per floor, so there are only 63 spacious vacation rentals in the entire building. Amenities include Heated Pool and Hot Tub, Fitness Room, Pool Pavilion… Read More. **PLEASE CALL US DIRECTLY FOR SAME DAY BOOKINGS** Origin Beach Resort is a fantastic location for vacation rentals in Panama City Beach! Right across from Sharkey's, a popular spot for live music, this resort directly… Read More. 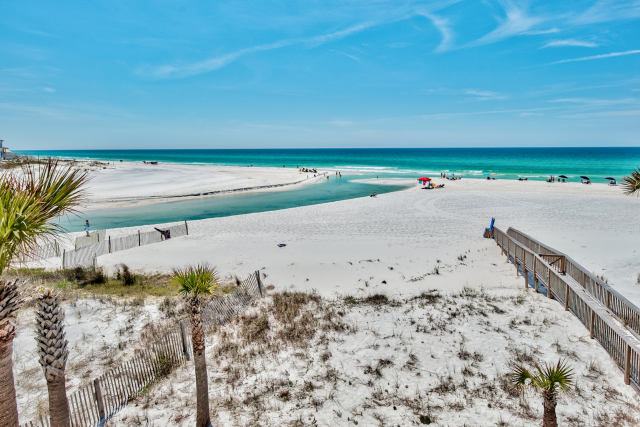 Conveniently located on the family friendly, eastern end of Thomas Drive, Pelican Walk has direct access to the sugar white sands of the Emerald Coast. This resort is loaded with amenities, featuring 2 Gulf Front pools (one… Read More. Seychelles is a vacation rental complex located on the sugar white sands of Panama City Beach in the peaceful eastern end of exclusive Thomas Drive. The area around Seychelles offers world–class dining, shopping, nightlife… Read More. Shores of Panama is an incredible destination in Panama City Beach. Vacation rentals here boast North Florida's largest lagoon pool and pool deck, beachside hot tub, indoor pool and hot tub, sauna, steam room, spa, and poolside… Read More. Opened in March 2008, Sterling Breeze is a luxury resort ideally located on a large expanse of sugar-white sandy beaches along the Gulf of Mexico. Convenient to area dining, shopping and activities, Sterling Breeze will give… Read More. Built in 2005, Sterling Reef is in a fantastic location on Panama City Beach near Shipwreck Island and near the fishing pier. Vacation rentals at this lovely resort have a 4000 sf bi-level pool with waterfall at their disposal… Read More. Catch some rays on the beach, swim in one of the two pools (one heated seasonally), relax in the Hot Tub, find some entertainment in the game room, or work out in the gulf front fitness center, the choice is yours. Sunrise… Read More. 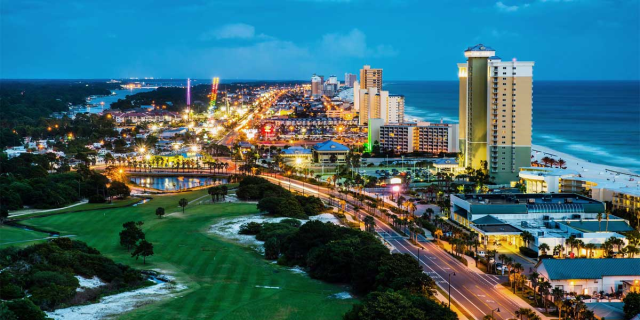 The Summit in Panama City Beach is located adjacent to the site that hosts the free Luke Bryan concert every year. Vacation rentals here have incredible Outdoor Amenities including: Two Large outdoor pools, Two children's… Read More. Tidewater Beach Resort opened in March 2008. 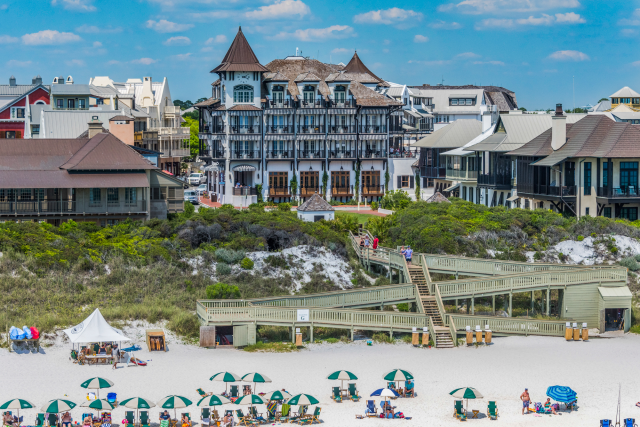 It’s a luxury resort ideally located on a large expanse of sugar-white sandy beaches along the Gulf of Mexico and convenient to area dining, shopping and activities, Tidewater… Read More. Treasure Island Resort is located on the sugar white sands of Panama City Beach in the peaceful eastern end of exclusive Thomas Drive. Loaded with amenities, it also boasts the conveniences of a covered portico entry, 4… Read More. Tropic Winds is one of Panama City Beach's newest gulf front resorts and is located just two miles from the exciting Pier Park. The 23 floors of this luxury resort contain 164 condominiums with all the amenities you could… Read More. Twin Palms in Panama City Beach offers fantastic resort amenities for you to enjoy during your stay on the Gulf Coast. Vacation rentals can enjoy a swim in the community pool or swim a few laps in the indoor pool. Relax in… Read More. Watercrest in Panama City Beach offers vacation rentals just minutes from gourmet seafood dining, signature golf courses, amazing deep sea fishing,world famous night clubs, fabulous water and amusement parks, miniature golf… Read More.